The Original Deuserband Light for increased strength, endurance, and coordination with 40% less resistance and faster repetition. A version of the Original designed especially for women, seniors and those just getting started. A combination of both Deuserbands is an ideal way to raise the level of muscle conditioning. Get fit and stay fit without spending a lot of time or money, at home or the office, or on the road. 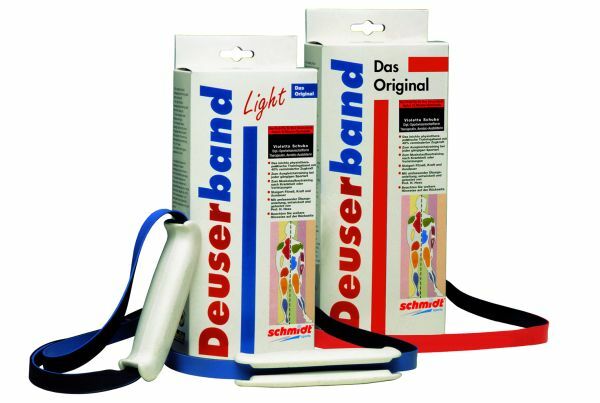 It's certainly possible if you exercise with the Original Deuserband Light. You can put together your own personal fitness programme for greater mobility, strength, and endurance.